Small round French handwoven basket with short (40cm) woven handles. Ideal as a children's basket or hamper basket. 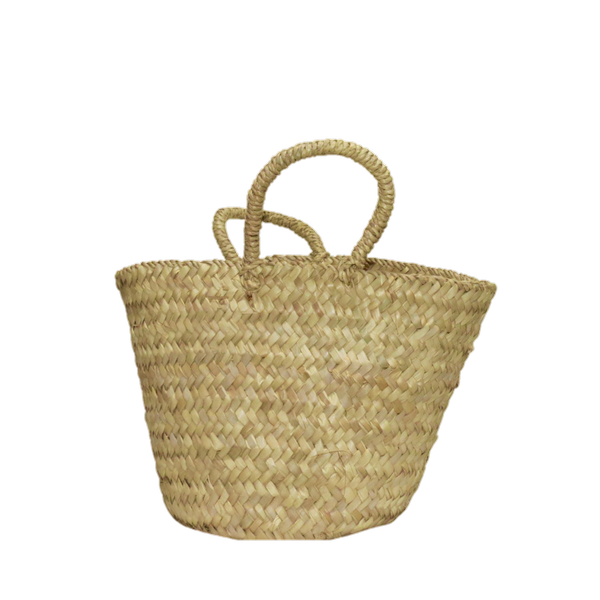 Also great for quick trip to the grocer, beach or market and a useful home storage basket too. You can even line it with plastic and usie it as a potplant holder.